BUTUAN CITY, April 11 (PIA) – In celebration of the Balangay Festival this year, the City Tourism Council here is once again inviting all regional and national line agencies, non-government organizations, socio-civic and youth groups, and private companies to join the Funfair of the Balangay Boat Float Parade on May 19, 2013. According to Butuan City Mayor Ferdinand Amante Jr., the Balangay Boat Float Parade will be a good venue and opportunity for the offices/agencies to advocate and showcase their thrusts and programs or products and services. Amante said there will be an advance screening of entry floats on May 16 for safety and quality control. “The design of the float shall depict the Butuanon culture, history, treasures and its people. Use of local and biodegradable materials is encouraged. The maximum size of the Balangay Float must be 3.0 meters wide, with height of 4.20 meters, and not more than 20 ft. in length. Concept and materials used will be left to the discretion of the participating school/company/office/organization/agency. Each float must have a built-in PA system for their music, and each float must not spend more than P85,000,” he said. Also, the float will be judged on the following criteria: 1) Physical (design & concept) – 30%; (originality and uniqueness) – 20%; 2) Theatrical Presentation (dramatic production) – 30%; (presentation of theme) – 20%, a total of 100%. There will also be deductions for overtime in the theatrical performance which shall be 5 points per 1 minute; disregard of guidelines 5% of total score per offense (bloated cost, wrong size, etc). As to the theatrical aspects, number of performers should be minimum of 15 persons. Music will be provided with each float must use while each float will show a 3-minute presentation (as teaser) during the station showdown at McDonalds/Otis Mall, and seven 6-minute presentation during the Grand Showdown, which must be a dramatic staging of the participants’ program, thrust/advocacy anchored on the Butuan culture and people. Amante also reminded that the storyline must be clear and concise and must be dramatized (theatrically); costumes and props must complement the over-all concept; dancing, chanting and signing are encouraged while the Balangay Float must be utilized as the main stage for the showdown and participating agency/group is encouraged to accompany their entry float with costumes and props to help augment the theatrical presentation. “The decision of the Board of Judges is final and non-appealable,” emphasized Amante. For the grand prizes, first prize will receive P150,000; second prize – P100,000; third prize – P75,000. For special awards, the participant that has the most unique float will receive P25,000; most colorful and attractive float – P25,000; and best theatrical presentation – P25,000. Consolation prizes will also be given to non-winning entries (with no special awards) amounting to P10,000. Assembly area will be at the Guingona Park at 1:00 p.m. All entry floats will be exhibited for public viewing on May 19, 2013 during the Balangay Festival Grand Parade. The said competition shall be limited to the first 12 entries to be submitted. Entry form shall be submitted to the Secretariat on or before April 22, 2013. SURIGAO CITY, Apr. 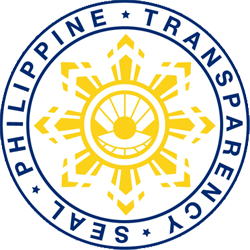 11 (PIA) -- As part of the agency’s commitment to broaden its reach to the provinces, the Philippine Charity Sweepstakes Office (PCSO) extends its services in Surigao del Norte with the opening of a branch office in the city. The Surigao del Norte Branch Office, which is located at the Provincial Sports Complex Compound, was formally opened and inaugurated last Friday, April 5. Leading the ribbon-cutting were Board member Victor Borja in behalf of Governor Sol F. Matugas, PCSO General Manager Jose Ferdinand Rojas II and PCSO On-Line Lottey Sector Assistant General Manager Remeliza Jovita M. Gabuyo, assisted by On-Line Lottey Sector- VISMIN Department Manager III Federico A. Damole and Regional Operations Manager for Mindanao and Concurrent CLOO, Surigao del Norte Branch Carlito I. Kho. The PCSO Surigao del Norte is the 8th branch of PCSO in Visayas-Mindanao region. TANDAG CITY, Surigao del Sur, Abril 11 (PIA) - Ang gobyerno miseguro nga ang balaod sa nasud mapatuman. Kini ang gisulti ni Presidente Benigno Aquino III reaksyon sa dili pa lang dugay nga “grounding incident” sa Tubbataha Reef nga naglambigit sa Chinese nga sakyanan sa panisda, atol sa pakighinabi didto sa Roxas City Airport (Miyerkules). Ang Presidente miingon nga ag gobyerno mopatuman sa Republic At 10067 nga miasoy nga bisan kinsa musolod sa protektadong dapit gikunsiderar nga mangingilot. 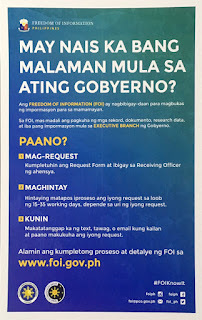 “Dunay tukmang mga sillot, nay imprisonment, naay multa- ug ang among trabaho isip ehekutibo sa departamento mao ang pagpatuman sa balaod,” (“May kaukulang mga penalties, may imprisonment, may fine—and our job as the executive department is to execute this law,”) sulti sa Presidente niadtong Miyerkules. “Sa akoang paminsar ang balaod nagasaad nga ang mismong nga nadakop ang gikinahanglan nga manubag dinhi. Kana sakyanan sa pangisda, nan ang maong tag-iya sa sakyanan, ug ang kaubanan niini, ang maakusahan,” (“I think ang batas nagsasaad na ‘yung mismong mga nahuli ang dapat managot dito. It’s a fishing vessel so it will be the owners of the fishing vessel, among others, who will be charged,”) siya miingon atol sa pagpangutana kon ang gobyerno sa Pilipinas musukna sa gobyerno sa Chinese sa pag-ako sa responsabilidad alang sa Tubbataha reef nga insedente. Ang Presidente usab miingon nga ang gobyerno miplano sa pagdugang ug mga suga nga mulutaw sa maong dapit ug pagpalapad sa gitawag nga “buffer zone” aron sa pagprotektar sa mga manglalapas. “Palapdan ang kadtong dapat “dili kamo moage duol sa maong dapit” aron sa pagpanagana sa bisan unsang posibilidad nga dunay mga panghitabo sa susamang insedente,” (“Palalakihin ‘yung dapat ‘huwag kayong mag-transit near this area’ to forestall any possibility na magkaroon na naman ng grounding incident,”) siya miingon. Ang pangulo mipatugbaw sa kaadunahan sa biodiversity sa Tubbataha reef, mao ang marine ecosystem nga dayag nga maoy atraksyon sa mga divers ug mga turista sa kinatibuk-an. “It is really in the national interest to preserve this to the fullest extent possible as it’s really quite —one of the wonders or natural wonders of the world,” sulti sa Presidente. Ang Pangulo usab miingon nga siya naghulat sa imbistigasyon sa Coast Guard nga maka patin aw sa bag-ohay pa lamang nga gounding incident ug makarekomend kon modugang ug igong rangers nga makabantay sa dapit or pag –upgrade sa ilahang mga ekwepo. Niadtong gabie sa Lunes, ang sakyanang pangisda sa Chinese misagyad sa Tubbataha reef, pipila ka adlaw human ang US minesweeper nagmalampuson sa pagkuha gikan sa iladong marine sanctuary.